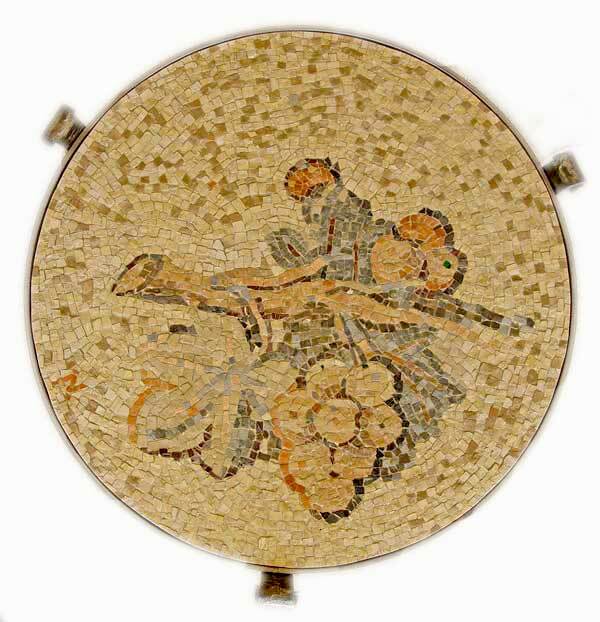 The center of the art of mosaics was situated in the Roman Empire and spread over the whole of the Mediterranean area and later was taken over by the Byzantium Empire. 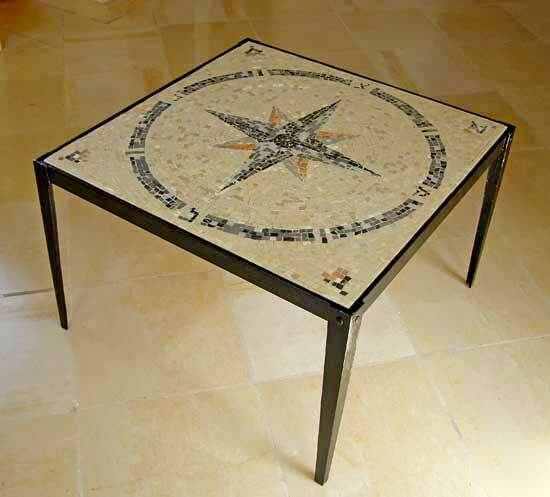 This is the reason that mosaics are identified with this area. They are found all over the Eretz Israel. 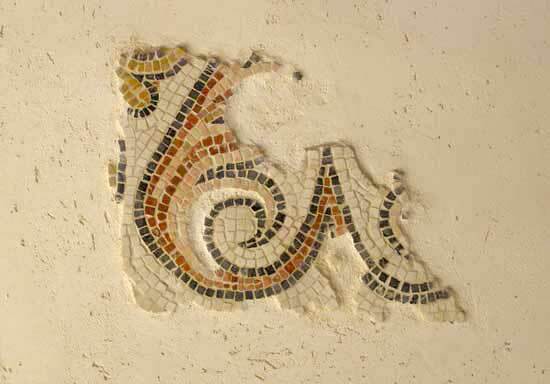 Mosaics decorated Jewish synagogues, places of Christian cults, baths, Roman and Jewish homes. 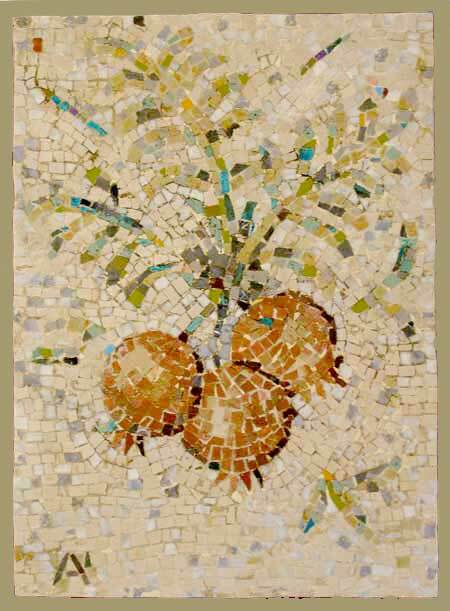 The history of mosaics in the Holy Land spreads over more than 2000 years. 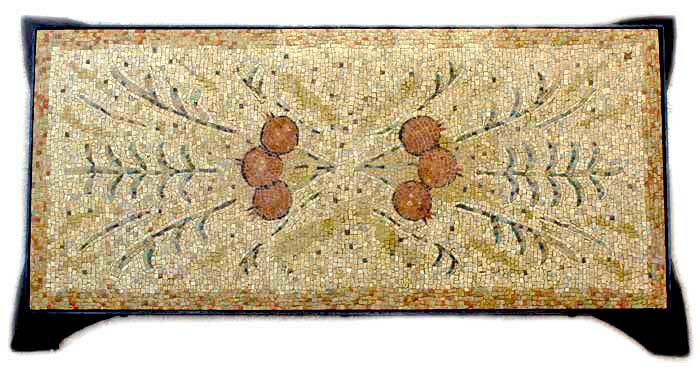 Frequently, newly discovered mosaic floors in wealth of colors are uncovered in ancient buildings. They tell a story of a magnificent art and culture. 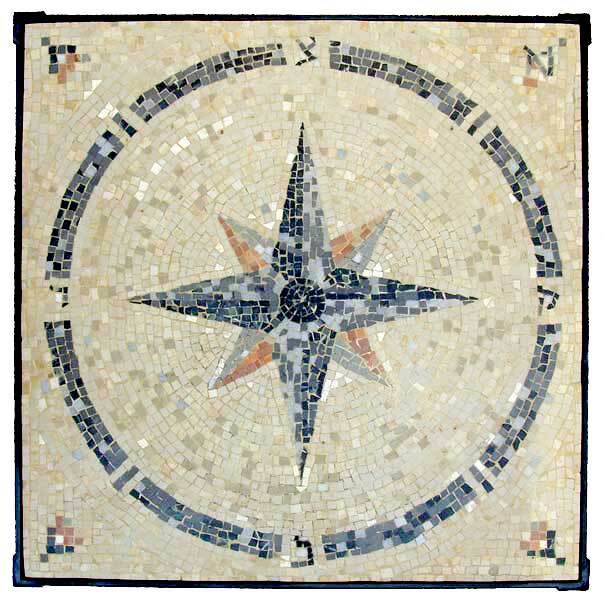 Mosaic designs on the floors in ancient Jewish synagogues are kind of road sign, from different periods, witnesses to the Jewish way of life. 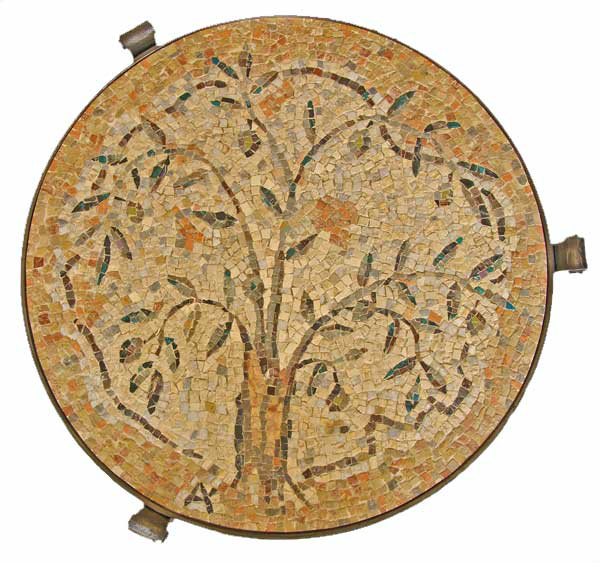 In Jewish synagogues, mosaic plates carrying names of different persons are frequently discovered. They are written in ancient Hebrew letters and they perpetuate, as is common nowadays the names of donors to the synagogue. 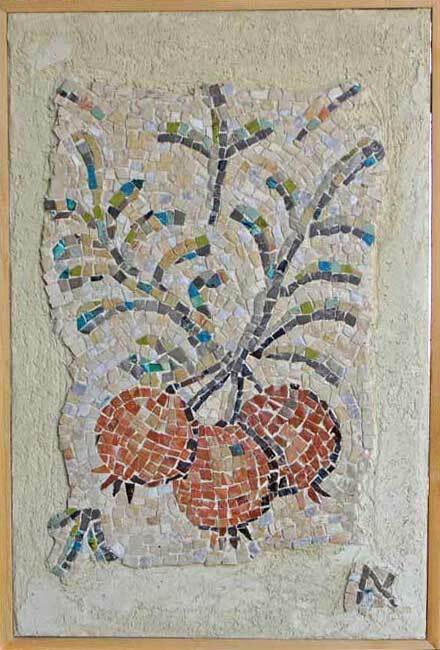 In mosaics, I see the ultimate local Jewish art, which combines Jewish motives, the landscape and crops of the Holy Land, Biblical episodes, signs of the Tribes of Israel and the ancient Hebrew writing. to their land and, from the artistic point of view, their integration into the Mediterranean area. 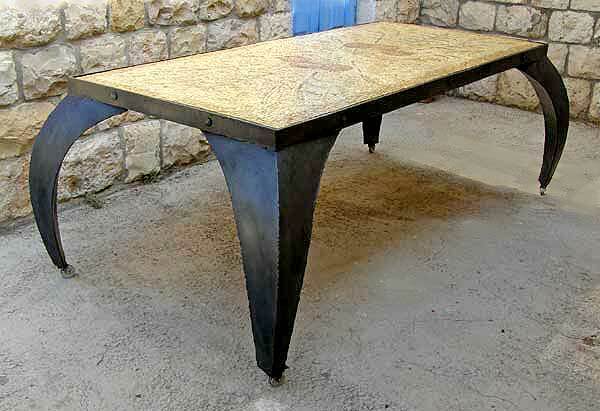 The rich colors of the stones of Eretz Israel portray the colors of the land and provide me with an original medium. 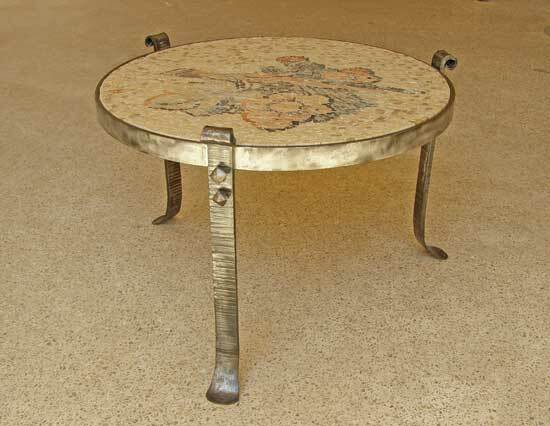 All of my mosaics are created from local stones. 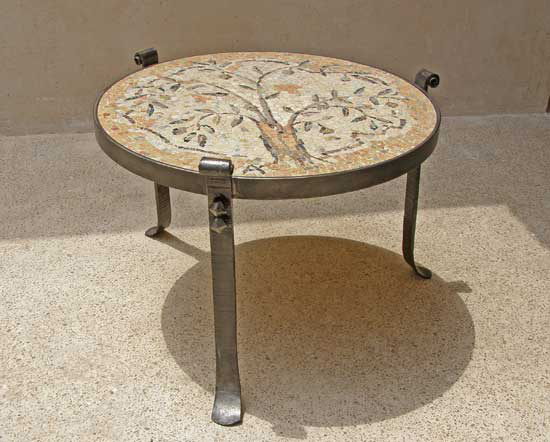 Alon Yarkoni, a seaman by profession and an autodidactic artist by vocation, was born in 1966 in Haifa, son of ceramic artist mother, and Master Mariner father, and a grandson of artists Chaya and Ben Zion Magal, ones of the founders of the artists’ village “Ein Hod”. His childhood and youth were spent in an artistic atmosphere of the village. He graduated from the “Reali” college in Haifa, and after the service in Israeli Navy and six years of service as an officer in Merchant Marine, married Yana, an architect, new emigrant from the Soviet Union and a grand daughter of Israel Rubinstein, one of the first mosaic and mason artists of Eretz Israel and also one of the founders of “Ein Hod. At this time he was exposed to and captivated by the charm of the art of mosaic. Alon admits that he was greatly impressed and influenced by Rubinstein, and he sees himself as his successor. He crisscrossed the country, saw every mosaic and visited art museums in the countries along the Mediterranean coast. His motives are taken from the nature of Eretz Israel, from the Bible and from the seamen’s life and environment. The stone dices, which he uses and produces himself, are made form of the Eretz Israel stones only. Alon also paints and his paintings are exhibited in the gallery of “Ein Hod”. 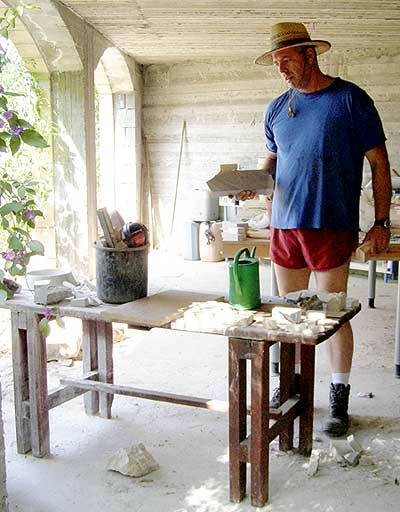 He has built his home in “Ein Hod”, where he lives and creates. Yana and he have two children, Eden and Dana. He works on the tugboats in Ashdod Harbor.